The group, which earned an Emmy award in 2013 for a Rocky Mountain PBS documentary, a 2014 win at the Telluride Bluegrass Band Competition and an award for Best Bluegrass Band by Westword in 2017, will release their fourth full-length album this month. The Chris Pandolfi produced record — the second one in which the band has collaborated with Pandolfi — is a high watermark of fast-tempoed bluegrass meticulousness. But one of the most magical aspects of Spirit To The Sea is that despite all of the Swiss precision, the songs still come across as light, fun and loose. Trout Steak Revival, made up of mandolin/guitar player Steve Foltz, fiddler Bevin Foley, banjoist Travis McNamara, bassist Casey Houlihan and Dobro/guitarist Will Koster has the admirable position of all five members contributing lyrics, vocals, instrumentation, and harmonies. 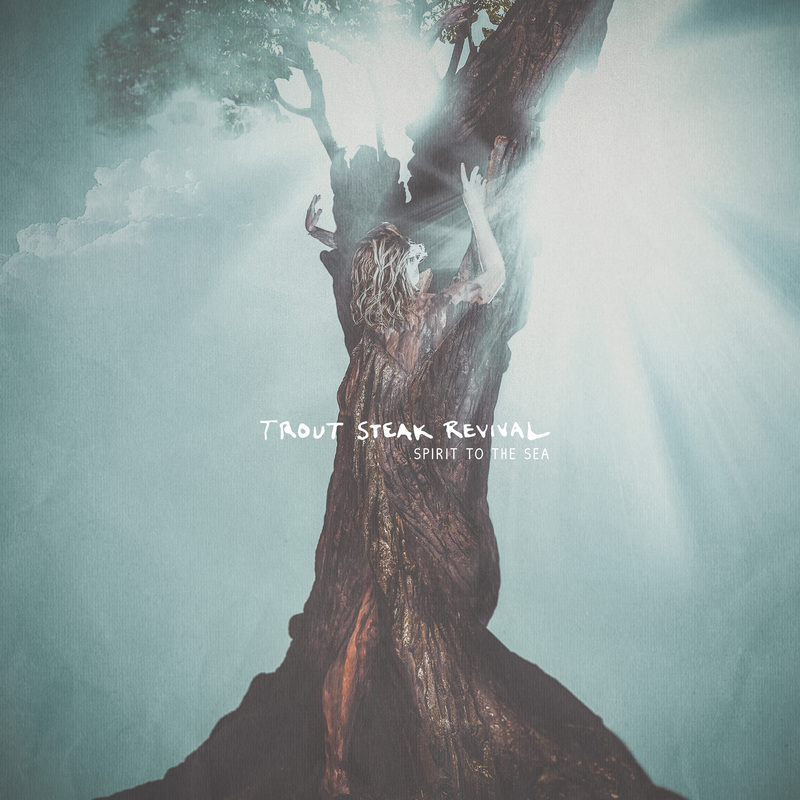 With that blend of influences embedded in each song Trout Steak’s bluegrass roots effortlessly stretch into the singer-songwriter and modern folk realms on songs like “I Am,” and “Loving is Leaving,” while tracks like “Last Chance,” “You Are Not Alone” and “Side of the Road” continue flexing their ample bluegrass muscles. Spirit To The Sea marks the fourth release for the group, and while each record has shown another step forward this album sees them taking giant leaps over their previous material.